Embrace the Wiggles to Learn! Less obtrusive than a therapy ball, but just as helpful for curbing the wiggles! 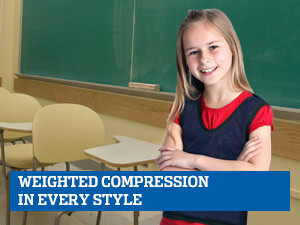 The Wiggle Cushion travels easily from home to school for an instant seat that encourages active learning. 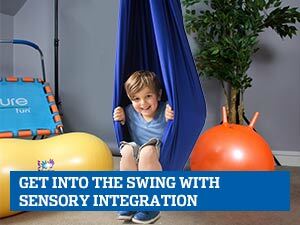 Provides a constructive outlet for movement during circle time, desk work or while eating. Smooth surface on one side. Other side has slightly raised bumps for extra tactile support. Inflate to the max for a firmer, wobblier seat, or deflate for more less wobble. Sit on the cushion during circle time or in the classroom as a boundary to encourage kids to stay in their spot. Inflate by mouth, with straw or with needle pump (sold separately, see accessories). Our Furry Seat Covers add comfort and tactile input (sold separately, see accessories). Use with adult supervision. We tried all of the methods to inflate the cushion (straw, blowing into it, and a hand pump with a standard needle). None of them worked, and we were afraid to push the needled in any farther for fear of breaking the needle or damaging the cushion. Also, the wiggle cushion is HUGE. We wanted it for a child's chair that goes with a children's table where we work on handwriting, and a booster seat at the dinner table. It is double the size of what we need. I did read the dimensions before buying, but this seems even bigger than described. Confirm your dimensions before purchasing. These wiggle cushions are a great product, we are buying our second. Love that you have so many sensory friendly products available! This is a great product. I use it for my son at dinner time or when we are working on an activity. It allows him the movement he desires while sitting in one place. It has reduced the amount of times he gets out of his seat and he enjoys that there are two different sides that he can switch between. The Wiggle Cushion was a great addition in our home. We first introduced to my son to help him sit and focus but we found he really enjoyed standing on it. Barefoot. He really liked finding his balance on the wiggle cushion. It is sturdy and doesn't require much effort to inflate. Works well. My daughter thinks it's fun. I'm trying it too and it does seem to be good exercise. He loves his new wiggle cushion. loves to stand on it most. but it is fun and keeps him paying attention. "Very cool product, doesn't take much air to give it a good wiggle." My daughter has seen these at school, so we ordered on for her. She has SPD, and said the chairs at school hurt her to sit on for a long time. This was a great product, great for a wiggly child. Easy to blow up, great quality. She leaves it at school and loves it! I would suggest this product to everyone! My 5 year old wiggler instantly took to this cushion, and it has been helping her to focus in her kindergarten class. It easily fits in her backpack to send to school. 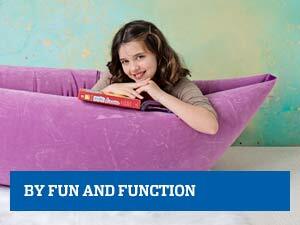 Part ball chair, part seat cushion…this Wiggle Cushion is great for any kid that has the wiggles! Our daughter enjoys sitting on this at the dinner table. Daughter uses it daily which is great...really has helped her stay in her seat for meals. She doesn't use the bumpy side though, which surprised me. She flips it over and uses the smooth side. So I am thankful it's made this way! I look forward to using it during school work this year. I really like the slim size and weight for portability. I was excited to receive these wiggle cushions. I have always borrowed one from our O.T. Teacher for the child that needed it the most, but could use at least three more each year. I have one student who struggled all year to stay focused and remain seated during work time. With his new wiggle cushion, he no longer has that struggle - they are amazing! This product has been great for my son. He uses it during dinner time and while he works on his homework. It provides enough of an energy release that he can stay focused and it is improving his balance and core strength. We will be buying a second one for him to use at school. I got this for my son who's in first grade and he had some issues sitting still and concentrating while doing writing and math assignments. This has made a huge difference for him, his teacher right away noticed he was better able to concentrate and his writing and math have improved already because of this. I ordered this for a SEIT to use in the classroom with a client of mine. She had been complaining that he has a really hard time sitting during lunch time, and I thought the cushion might help. She loves it. She gives many kids in the class a turn to use it, so the boy shouldn't feel different, and they all love it! He's been sitting a lot better with it. Like the color and that you can adjust the amount of air inside. My daughter likes to have her feet on it during homework time. Hi. 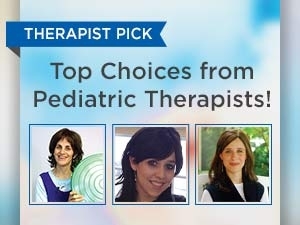 I am a preschool teacher and was wondering if the wiggle cushion can be used by a 4 year old Preschool student? Yes, this cushion is 15" in diameter and is appropriate for ages 3 plus. If you are looking for something a little smaller we have a Bumpy Gel Cushion or a Fishy Gel Cushion which are both 9" in diameter. What is the weight limit for the wiggle cushion? The weight limit is approximately 150 lbs. Can we order just the white pins? Yes, we do have the plugs (pins) needed for the Cushion. 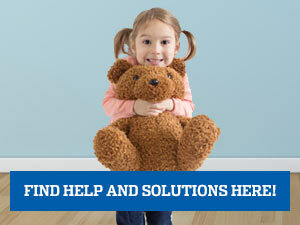 Just give us a call at 800 231 6329 and we can assist you. What is the difference between the Sit-A-Round and the Wiggle Cushion? Both are designed for a similar purpose but with a difference in height and design (the Wiggle Cushion has raised bumps and the Sit-A-Round has a round design). Do you have anything for larger children or adults? My Magical Cushion and the blue Lean n Learn Wedge Cushion can be used for preteens, the Wiggle Cushion can be used by teens as well as the Sit and Round Cushion. Can a child in kindergarten use this cushion? Yes, it can be placed on a small chair. How do I inflate this cushion? Inflate with our hand pump.